We went to Louis DeAngelos Italian Restaurant to sit in a radio audience where our friend, Russell Jacobs, was the main attraction. He was interviewed on Central Legends, a live radio show. Central Speaks Station 910AM features members of the community who have had a positive effect on the city. 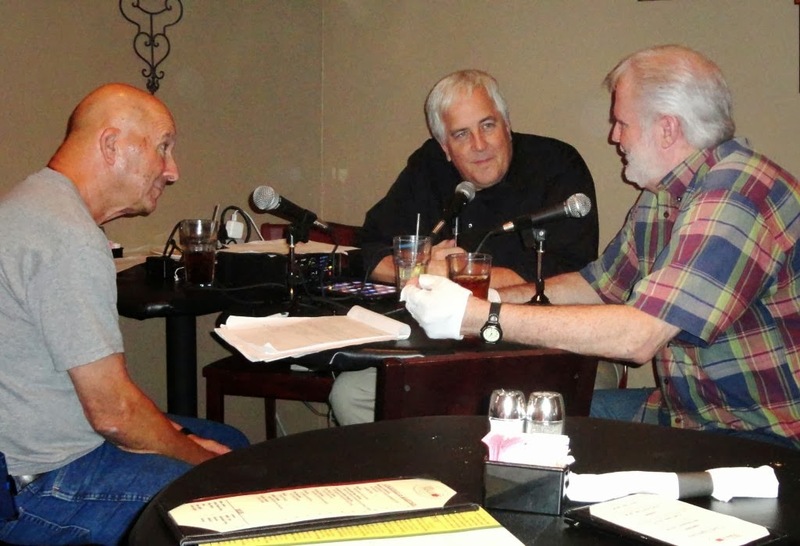 Central Legends is broadcasted live from DeAngelo's on Sullivan Road weekly on Thursday evenings. 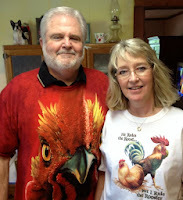 On this particular evening, the bar and half of the restaurant patrons were "Rusty Rooster" fans! The wait staff team was extremely accommodating as we took over the place. Hosts Les Bueche and Dave Freneaux discussed the history of Central with Rusty, and never at a loss for words, he answered and commented with great style! I am sure the radio audience was able to share the good nature of the interviewee. He has been a respected member of the Central community for over forty years and is a well known face to many. Rusty was chosen as a Legend because he was instrumental in the incorporation of the City of Central. Central was once part of the city of Baton Rouge, but as their numbers grew they decided to become their own entity with their own schools for local children. Since the incorporation in 2005, it has grown to be the 13th largest city in the State of Louisiana. Central's school system has become one of the highest performing districts in the state. The city is thriving with privatized services and a surplus in the city coffers. 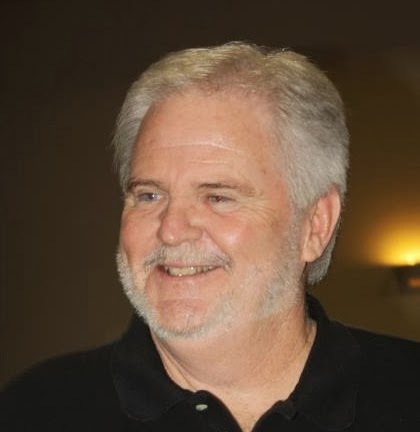 Rusty had a huge part in the incorporation process as he, among others, spearheaded the effort and personally collected many of the signatures needed. The interviewers asked Rusty questions about his personal life as well as his efforts to make a Central a city. The Rooster grew up in a single parent household with a working mother and two devoted sisters, Sharon and Patricia. A neighbor helped by making sure the kids had their clothes ready, their Bible lessons studied and their shoes shined for Sunday. Sharon has confessed that as siblings, they fussed and argued, but in adulthood they are "thick as thieves" as they see each other many times a week and have even traveled together with their spouses. It was not an easy life for this family, but love prevailed and all got good backgrounds of positive morals and values. Attending public schools of Baton Rouge, he was a 1967 graduate of Istrouma High School where he excelled in athletics and leadership. He married his high school sweetheart, Susan. They have three sons and several treasured grandchildren. A daughter was lost in infancy and this tragedy led to the closeness of the family and a strengthening of their faith. 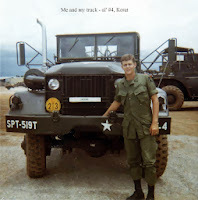 Rusty valiantly served in the Army during the Vietnam War from 1969 to 1971. He spent 15 months in Southeast Asia fighting for our country. He has kept in touch with his service buddies, with whom he formed strong bonds. He has attended a few battalion reunions over the years. 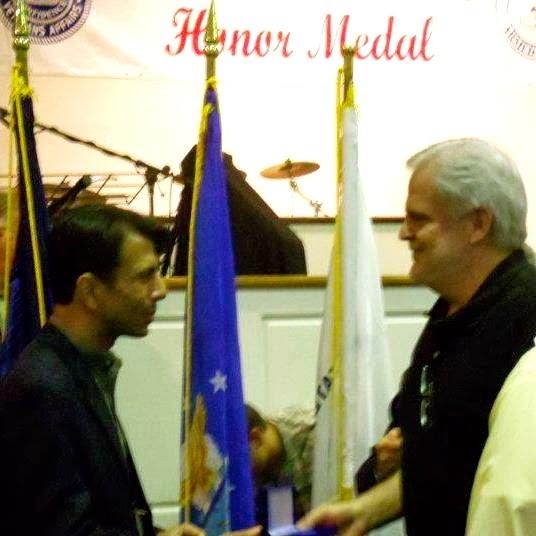 He was honored recently, for his service by Louisiana Governor Bobby Jindal. Before his army days, he studied briefly at Louisiana State University, but his true calling was working with his hands. He began working as a carpenter after his discharge. He was good at it and decided to strike out on his own. With an enduring entrepreneurial spirit he formed his own company. Jacobs Building began in 1985 and continued operating un 2010, when the doors were closed. When Central became a city, Rusty became the first President of the Central Chamber of Commerce. According to a friend of his, he served his term with dignity and positive leadership. Jacobs Building left a legacy of many structures in the Central area. Rusty reminisced that his company seemed to specialize in building or remodeling churches. They built and/or remodeled thirteen area places of worship. His dedication to his business and his employees was legendary, too. When diagnosed with pneumonia, he informed the doctor that the pneumonia might be bad, but things would really get bad if he didn't "make his payroll." At that point the medical expert allowed him to leave the hospital long enough to meet his obligations to his "people." When the residents decided to leave the jurisdiction of Baton Rouge and become their own city, Rusty helped lead the charge. He helped with the collection of 7,000 signatures required to be incorporated as a separate entity. Then, because of a spelling error in the original petition, they had to do it a second time. Rusty was there both times. He went door to door and also manned posts at local businesses entreating the citizens to again sign the petition that was the first step in incorporation. In retirement Rusty is an active Facebooker. 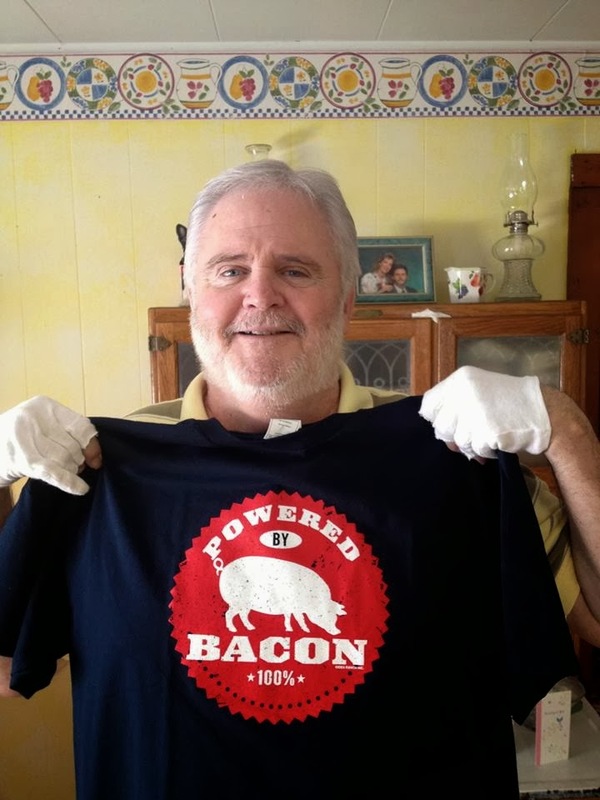 In one post he made it known that in spite of health warnings, he loves to eat bacon. In a time when we are told that bacon is unhealthy, he has been a staunch supporter of the piggy product. He recounted that he has people all over the world sending him cartoons about bacon, t-shirts with bacon logos, bacon flavored foods and he has become a self-proclaimed proponent of the delicious food! When you think of bacon, think of Rusty Rooster! In spite of health issues for Susan and himself, Rusty remains the bright spot on the radar for many people. He has an undying faith in Christ and lives his faith. He is generous, supportive and can always be counted on for a smile and a word of encouragement. He's a true friend to many. As one person pointed out: "He is one of the good guys!" I was so impressed to be in the company of a legend that I asked him to autograph my napkin. Here it is: Marilea with Rooster autographing napkins for us! What a fun evening. Excellent account of a wonderful evening honoring this dear friend of over 45 years. I never met this gentleman but he sounds like a wonderful human being. Thank you, Dot, for a well written story. Please keep us posted as to your next appearance on stage, radio and/or TV! Thanks for your kind words to me. Glad you liked the story! Dot thank you for a wonderful and very informative article about the accomplishments of one of Istrouma High's outstanding students, Rusty Rooster. I am delighted to learn this about this very great guy and former classmate.